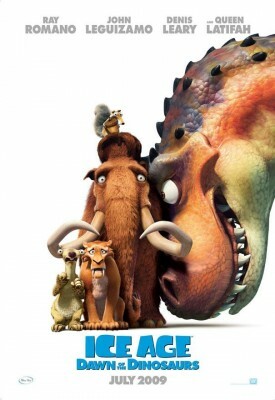 This sequel, titled Ice Age: Dawn of the Dinosaurs, is the first in the series to be offered in 3D. The filmmakers in charge of this installment must have noticed that audiences seem to find 3D features ever more popular, as there has been an increase in 3D films being released. 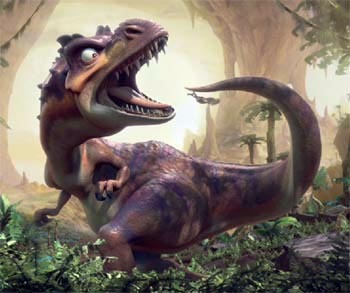 In Dawn of the Dinosaurs, our favourite prehistoric pack of mammals returns to save yet another soul from a perilous fate. 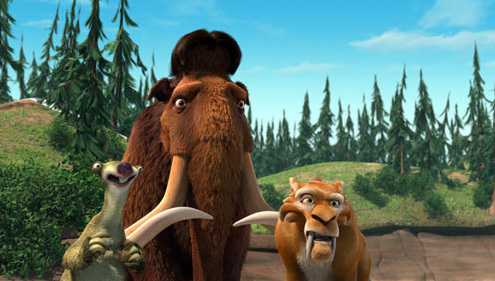 In the first Ice Age, Sid (voiced by John Leguizamo), Manny (voiced by Ray Romano), and Diego (voiced by Denis Leary) saved a human baby from being eaten by a pack of saber-toothed tigers. 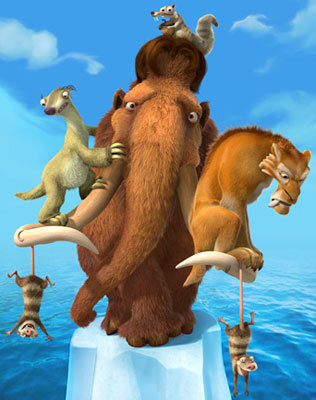 In Ice Age (2): The Meltdown, the herd was joined by the mammoth, Ellie (voiced by Queen Latifah) and possum brothers, Crash and Eddie. The unusual and diverse herd must overcome their differences to save the valley they live in and its inhabitants from an imminent flood, which is about to burst through a melting glacial dam. This time around, Sid thinks he should adopt some eggs he found in the ice and raise them as his own. Little does Sid know that these are dinosaur eggs and Mama Dino is not happy to find that her wee ones have disappeared. 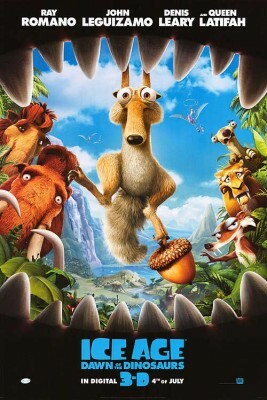 The Pack must find and save Sid, with the help of Buck, a dweller of the dinosaur land who has gone a little crazy. 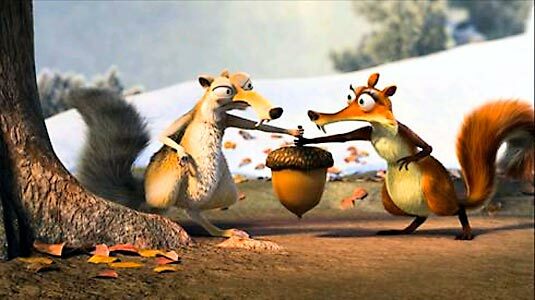 Also, the former minor character, Scrat, has a more prominent side-story and he may have found his match in Scratte. This movie was intended to be a family comedy and that is exactly what it is. The creators are obviously not concerned with the lact of factual coherence in the film; focusing mainly on slapstick humour. Mammoths being tiny in comparison to dinorsaurs, two squirrels fighting over one acorn, and an expecting father are just a few of the situations that make you giggle. I give it one thumb up. Definitely a good way to forget about the real world for an hour and a half. Enjoy it while you can, the rest of this summer’s movies will be significantly darker. This weblog seems to recieve a good ammount of visitors. How do you get traffic to it? It offers a nice individual spin on things. I guess having something useful or substantial to post about is the most important factor. My friend and I had been just talking about this article, truly normally wanting to prove me wrong! I am going to present her this particular post not to mention rub it in just a little! You completed certain nice points there. I did a search on the issue and found mainly persons will go along with with your blog. Awesome post . Thank you for, posting on this blog dude! I’ll message you soon. I didn’t realise that!